Celiac disease can manifest in many different ways. While symptoms can affect the whole body, those involving the gastrointestinal system receive greater attention. 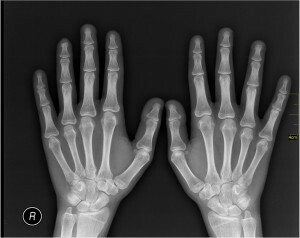 However, for some individuals, the state of their bones holds the key to diagnosis. For patients with undiagnosed celiac disease, fractures, osteopenia and osteoporosis develop as a result of nutrient deficiencies. “People with untreated celiac disease are pre­disposed to malabsorption of both calcium and vitamin D,” says endocrinologist Jessica R. Starr, M.D., assistant professor of medicine at Columbia University Medical Center. Calcium and vitamin D are essential for healthy bones, and when they are not absorbed, deficiencies can attack the bones. patient has anemia or any relatives with autoimmune disease,” notes Starr.